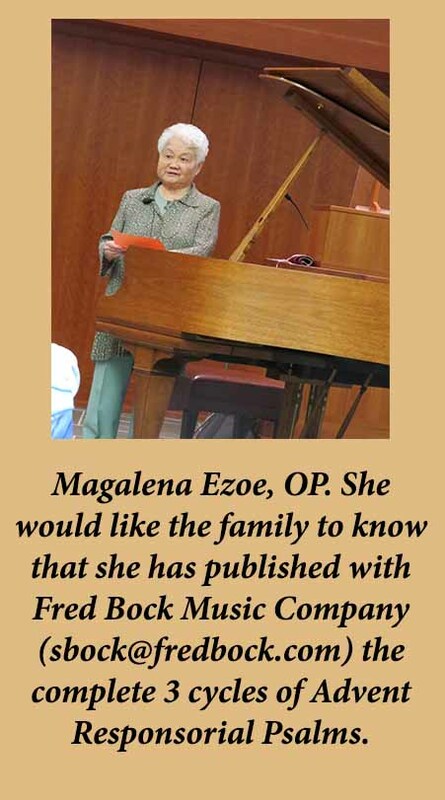 In recognition of her “truly angelic” gifts as a concert pianist and composer, Adrian Dominican Sister Magdalena Ezoe, OP, received the Fra Angelico Award on July 27, 2012 from the Dominican Institute for the Arts (DIA). Sister Magdalena received word that she had received the Fra Angelico Award during a phone conversation with Springfield Dominican Sister Mary Frances Gorman, OP, president of the DIA. Sister Magdalena had been unable to attend the DIA’s 16th Annual Gathering, held July 25-28, 2012, in Oakland, California, to receive the award in person. 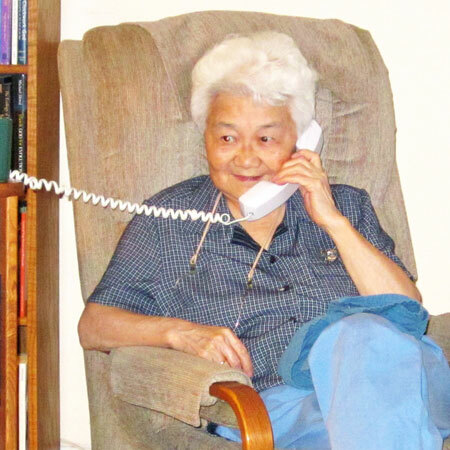 Sister Magdalena was born in Japan, where her uncle had directed a music conservatory. She earned her master’s degree in music performance from the University of Michigan and completed post-graduate work at Catholic University of America. 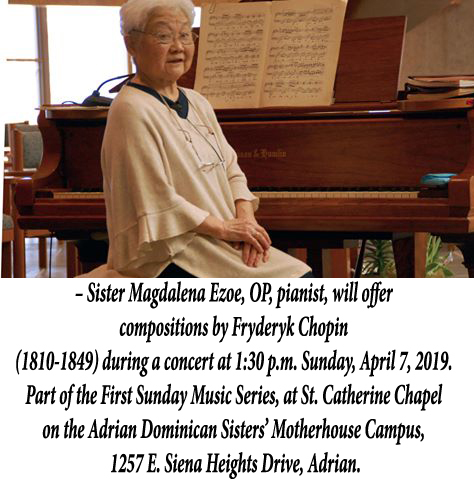 Professor Emerita of Music at Siena Heights University, she has composed sacred music for the Adrian Dominican Sisters, performed countless piano concerts and musical lectures, and taught music at the high school and college level. Sister Magdalena’s previous awards have included the Fred Smith Champion Award; the Adrian Dominican Education Leadership Path to Cultural Harmony Award; the Golden Apple Award; and the Eileen Rice Outstanding Teacher Award. The highest honor bestowed by the DIA, the Fra Angelico Award is named after Guido da Vicchio (Fra Angelico), a 15th-century Dominican friar who preached through his art, most notably his frescoes and his paintings, which seemed to depict Heaven. Members of the DIA include Dominican friars, sisters, nuns, and associates who are supporters of the arts or who practice art in such areas as painting, sculpture, photography, music, dance, poetry, and film.